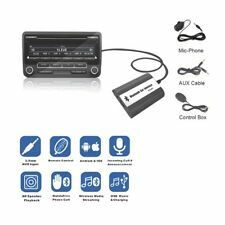 Car Bluetooth Kits MP3 AUX Adapter Interface For Toyota Lexus Scion 2003-2011. Bluetooth Music & Hands-Free Car Interface (hereinafter referred as ‘BTI’) is installed on the OEM radio via wire harness without interference. 2004 Toyota Land Cruiser Prado ( Typ:J120, Model Years 2002- 2009). Model: Land Cruiser Prado J120. Make: Toyota. Year of manufacture : 2004. Vehicle Color: Silver. Part Number: 08600-01002. 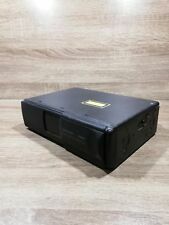 Genuine Toyota CD changer TM0641 Complete Kit. 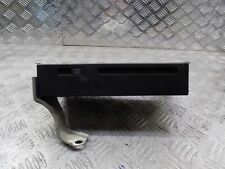 THIS ITEM HAS BEEN REMOVED FROM: TOYOTA PRIUS 2007 1.5 PETROL AUTO 5 DOORS HATCHBACK. 2008 TOYOTA AVENSIS 1.8 VVT-i TR 5DR ESTATE. OUR REF: X946. Vehicle specific cable #TOY1. GROM-USB3 interface makes it easy to enjoy your music while driving. With plug-and play connection your mobile phone or USB stick becomes an in-car media centre. THIS ITEM HAS BEEN REMOVED FROM: TOYOTA PRIUS 2012 1.8 PETROL AUTO 5 DOORS HATCHBACK. THIS CD PLAYER IS GENUINE HAS BEEN IMPORTED FROM JAPAN AND IT IS IN JAPANESE LANGUAGE. The quality components of the GATEWAY Lite provide this best sound quality - no matter if you listen to music directly from your iPod or reproduced via the USB port music from a USB stick. The GATEWAY Lite supports music formats "MP3", "WMA" and "WAV". 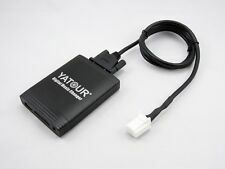 The XCarLink 2 USB for Toyota Aygo, Peugeot 107 and Citroen C1 is connected to the CD changer connection to the car radio and served as a CD changer via the radio buttons. Toyota Aygo ab 2005 RDS-CD-Radio. 2004 TOYOTA COROLLA 1.4 VVT-i 5DR CD CHANGER. GROM Audio Accessories. GROM Audio. We are the UK distributor for GROM Audio. Toyota Vitz 05-12. Toyota Venza 08-12. Toyota / Lexus (recent) - USB iPhone Android integration kit. Android Integration. Toyota MR2 03-12. Note: May work on other models not listed providing CDC port is present. Note: Older Toyota or Lexus vehicles use the larger TOY1 connection, more recent models use the smaller TOY connection. Older Toyota or Lexus vehicles use the larger TOY1 connection, more recent models use the smaller TOY connection. Our aim is to get your satisfied and we do our best to describe the following item as good as we can and show it in the picture. Credit/Debit Card. We send parts to every country all over the world. THIS ITEM HAS BEEN REMOVED FROM: TOYOTA PRIUS 2012 1.8 PETROL AUTO 5 DOORS HATCHBACK. All parts are security marked; these markings include permanent marker pen and infra- blue marking. There can be from the manufacturers production changes in the current models. Construction period The original vehicle data Aggregates are generally sold without mounting parts. Spare parts information. Who his latest Apple device with Lightning connector on the DENSION GATEWAY Lite 3 BT (GBL3xxx) want to connect this needs to, in our accessories optional, Dension Lightning adapter. The provided USB port is perfect for connecting the Dension USB Lightning cable (IPLC1GW) or alternatively, the Dension Car Holder (IP5LCRU / IP5LCRP). Ending Soon. New Arrivals. Tuning Parts (148). 1 x Harness cable. 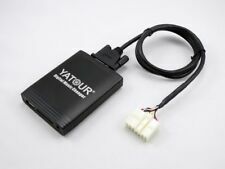 Suitable for TOYOTA/LEXUS/SCION with CD changer port 6 6 connection type. Due to the difference between different monitors, the picture may not reflect the actual color of the item. 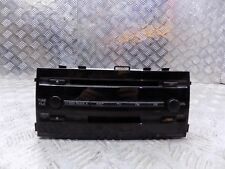 Toyota Crown Jzs171 Cd Changer Sound System plus module good working order. Avensis from 97. 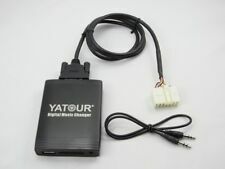 USB, SD & Aux Music Adapter for Toyota big (5 7pin). Perfect connection of USB flash drive,SD card to the radio. Music playback of MP3 and WMA files. hard disks, smartphone, MP3 player, etc. can be used as an external music source. 13th Toyota Avensis 2003-2009. PLUG & Play with Bluetooth adapter / speakerphone. 27 Toyota Prius 2004-2011. SD/SD-HC/USB/aux IN / MP3. adapter to emulate a CD Wechsler's. Toyota / Lexus 38 Toyota Yaris 2006-2011. Ro tary encoder (VOL Encoder Rotary Switch for WX-C570R). Push button action. Datasheet (see RE0124 page 29). 24 pulses per rotation. Artykuły z łamane lub nie istniejących plomb, etykiet lub pieczęcie jako nieważne w stanie dostawy. Switzerland Da 17.66GBP. Denominación del artículo Datos del artículo y del vehículo. Товар с поврежденными печатями, маркировками или пломбами расматриваются как не в состоянии поставки. TOYOTA PRIUS 2009 2010 2011 2012 2013 DISPLAY SCREEN SAT NAV 08545-00T61. THIS ITEM HAS BEEN REMOVED FROM: TOYOTA PRIUS 2012 1.8 PETROL AUTO 5 DOORS HATCHBACK. THIS CD PLAYER IS GENUINE AND HAS BEEN IMPORTED FROM JAPAN WITH A JAPANESE LANGUAGE. Artykuły z łamane lub nie istniejących plomb, etykiet lub pieczęcie jako nieważne w stanie dostawy. Denominación del vehículo Datos maestros del vehículo Switzerland Da 16.58GBP. Denominación del artículo. Make / ModelPEUGEOT 107. Part also fits107 2005 -2011 Mk1 Radio (Up to 2011). made with love by. Artykuły z łamane lub nie istniejących plomb, etykiet lub pieczęcie jako nieważne w stanie dostawy. Código de la caja de cambios Código del motor Color exterior (n.º de laca) Azerbaijan Da 33.88GBP. USED PART WORKING FINE HAS SIGNS OF WEAR. 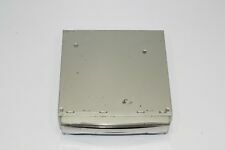 RADIO CD CHANGER HEAD UNIT. 2011 LEXUS IS200/IS300 CD/DVD/Sat Nav Disc Unit. GENUINE PART All parts are genuine & second hand unless otherwise stated. May have minor marks. Any major marks will be photographed see photos for condition. Our aim is to get your satisfied and we do our best to describe the following item as good as we can and show it in the picture. We send parts to every country all over the world. Fully functioning, ready to fit to your vehicle. Please Contact Dealers To Find Out Code. This Item Will Need To Be Reset, Unlocked And Coded To Your Vehicle By A Qualified Auto Electrician Using Correct Software And Equipment. Is This The Right Part For Your Vehicle?​ Before Committing to " Buy it now ", It Is Buyer's Responsibility : To Double Check His Own Part Visually. To Match This Part Number :08601-00910 To Ensure The Part Is Right And Will Fit His Car. And Donot Forget to Provide Your Contact Number At Checkout.(ForOfficeUseRefMA2153). Please Contact Us, Before Leaving: Negative Or Neutral Feedback And Bad (Five Star) Ratings​​. AVENSIS 2009 -2012 Mk3 (T270) Panasonic ID W53828 Dark Silver. TOYOTA AVENSIS Radio/CD/Stereo Head Unit. 2009 TOYOTA AVENSIS which we are dismantling. The Part imaged and described is th eactual part you will recieve. The part number in the table above must be identical with the number of your part, otherwise the part will not work properly. 43-305 Bielsko-Biała. M.Bednarczyk, K.Kruczek. SWIFT: INGBPLPW. 30 1050 1070 1000 0022 1597 3690. Removed from: TOYOTA LAND CRUISER COLORADO. 3.0 TD (1KZ-TE) 5 SPEED MANUAL 1999 LWB. GENUINE OEM, USED, AGE RELATED MARKS WEAR. ANY LOCATION OUTSIDE THE UK. (for orders sent via TNT, DPD or Palletways). 481907: FA09539 M5X8 Toyota RAV-4 CD changers 2002. 481907: FA09539 M5X8 Toyota RAV-4 CD keitiklis 2002. 481907: FA09539 M5X8 Toyota RAV-4 Wechsler Changer 2002. 481907: FA09539 M5X8 Toyota RAV-4 держатель cd-проиг 2002. Manufacturer: Toyota. Genuine used part removed with expert care and tested where possible. See photo's for more information. Sorry we do not have the code.